In July 1815, just six weeks after the Battle of Waterloo, Sir Walter Scott set out for Flanders to visit the battlefield. He paid for the trip by writing Paul’s Letters to his Kinsfolk, a series of letters written by ‘Paul’ to various members of his fictitious family. 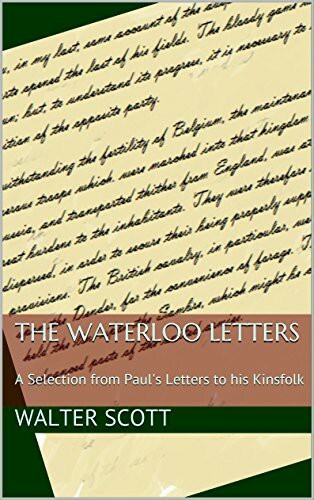 This ebook is a selection of those letters, in particular the letters that provide a journalistic account of events leading up to the Battle of Waterloo, the battle itself, and its aftermath. Written in the characteristic style of the world-renowned poet and novelist, these letters are essential reading for Scott fans and for anyone interested in the Battle of Waterloo.